These Quick Soft Pretzel Bites with Herb Brushed butter are so addicting you better get ready to make more than one batch! 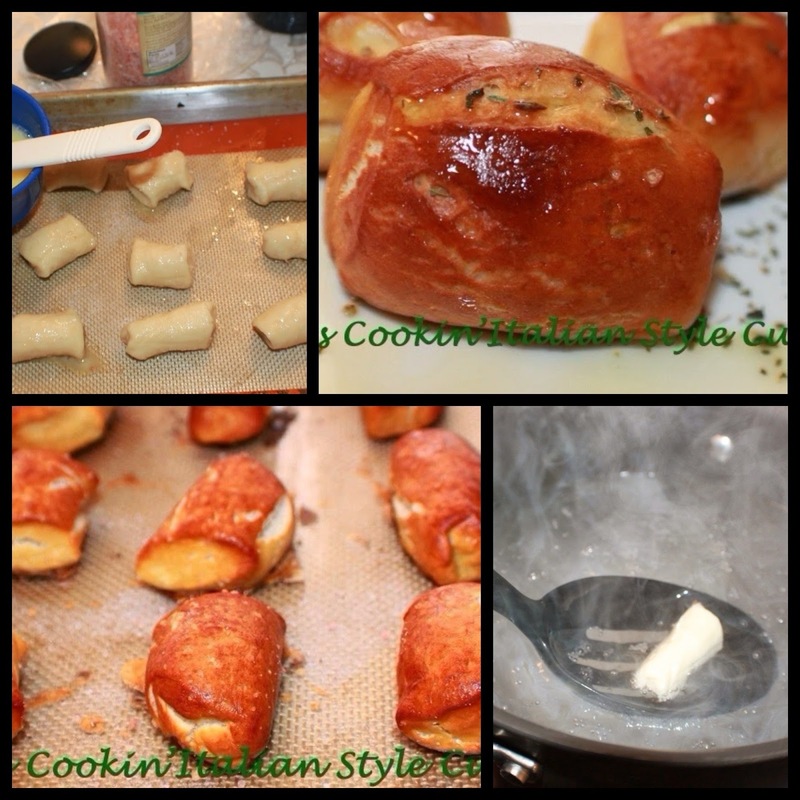 For those who love garlic knots which is a family favorite of ours, here is a great little soft garlic pretzel that is every bit as good and so easy to make. You will not believe how quick and easy these come together, no rising the dough, just mix, cut, boil 30 seconds, bake and eat (or use your favorite dip) but you really don't need a thing! They are fabulous the way they are. 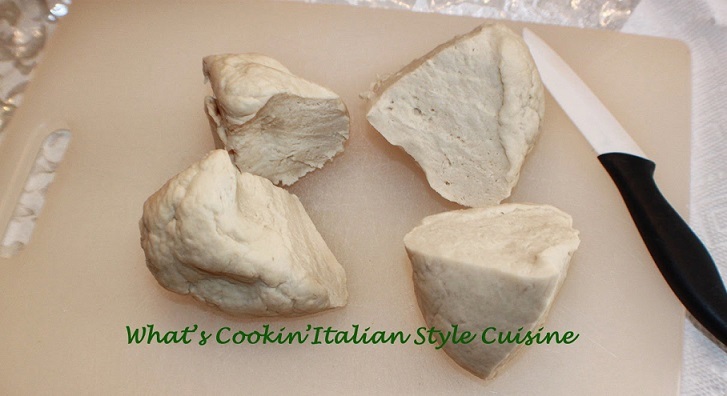 The dough was so easy to make and took hardly any ingredients. The trick is the boiling water and baking to get that perfect shine! I truly was amazed these were homemade! We love to make these for our get-togethers for guests and dinner parties. 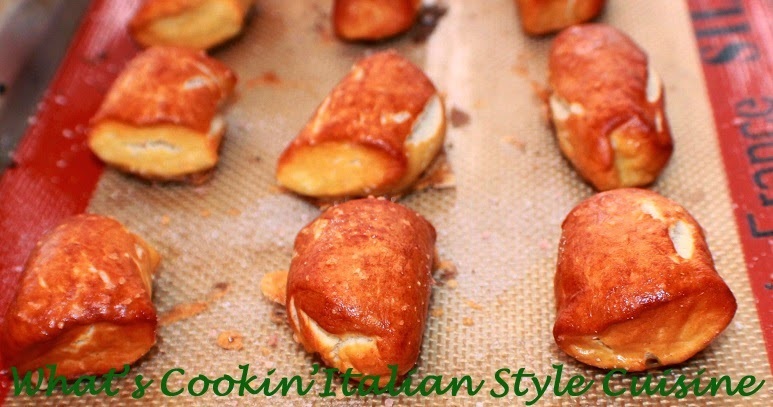 Everyone is more than amazed how delicious these are and easy to make. Warning: these soft little pillows of dough are very addicting. A delicious snack any time of the day! Whether you love to dip soft pretzels in mustard, melted cheese or Nutella or even plain, these are the perfect easiest homemade dough you will ever make! A great snack for the kids and you can change it easily with brushing some different flavorings on top additions in the dough. Some people like them with dipping sauces and some more suggestions that I've made below! 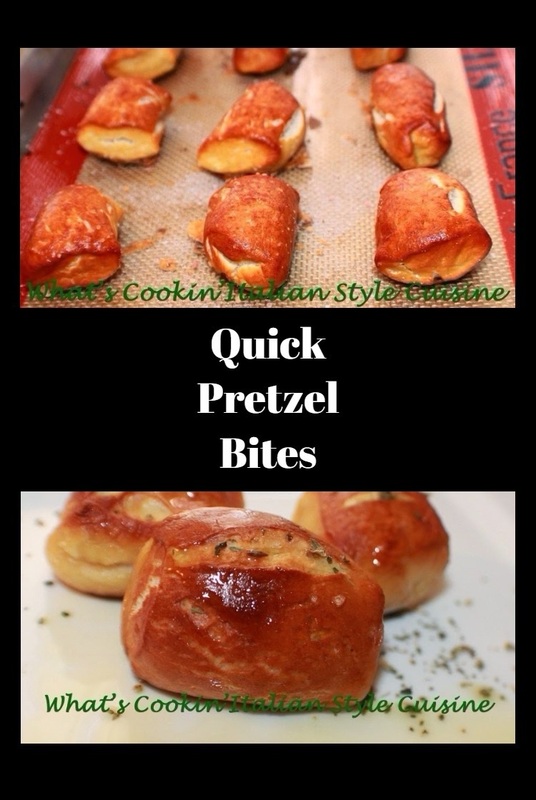 These soft pretzel bites are so versatile and easy to make. 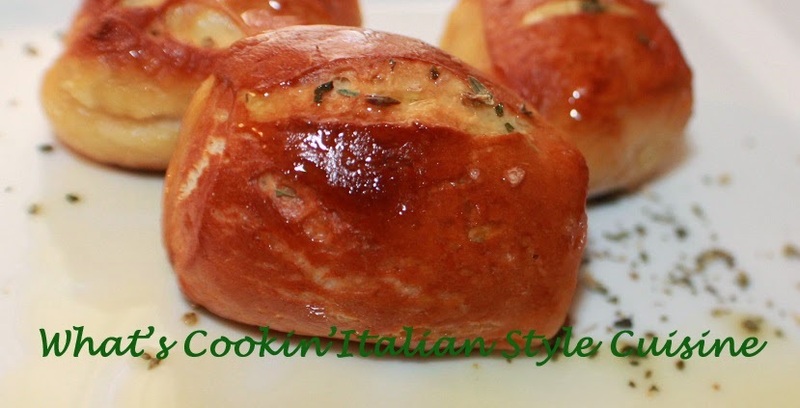 They're perfect just plain but for an added change try the butter and garlic flavored! While still warm brush with 1 tablespoon each olive oil and 1 teaspoon melted butter and shake in a ziplock bag adding 1/2 teaspoon each, garlic powder, dried oregano, parsley, and basil little black pepper or cayenne pepper. While still warm, brush with melted butter and then dip or sprinkle in cinnamon sugar mixture. Use Nutella as a dip with these pretzels. Some like melted cheese to dip them in ( any kind you like). Add other additions to the dough for a different flavor during the flour stage of the recipe by adding your favorites, such as chopped pepperoni, bell peppers, Asiago or other sharp long shreds of cheese, crumbled bacon or just fresh herbs like basil, rosemary, thyme, and some minced garlic. You can try and make any other kinds of gourmet style pretzel ingredients you like with this dough as well. 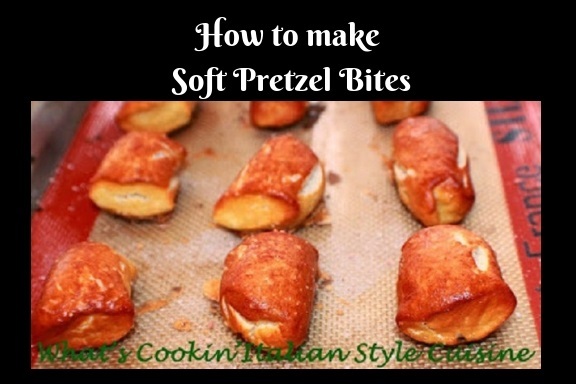 This is a step by step recipe for making soft pretzel bites. A soft pretzel dough and a perfect snack anytime. Prepare a cookie sheet with Silpat or parchment paper. in a large bowl using an electric mixer, add warmed half and half to a large electric mixing bowl with paddle. Let mixture sit in the bowl and stand around 10 minutes. Add flour, salt and mix well in a stand mixer for around 4 minutes. Add regular tap water to a 5-quart saucepan and fill with the addition of + 1/4 cup baking soda added leaving 3 inches from the top. Roll out the dough, cut into 4 pieces then roll into long ropes and then cut evenly with a sharp knife to make pretzel sticks around a thumbs length and a 1/2 inch wide. Place around 6 to 8 pieces into the boiling water at a time for around 30 seconds. Then remove with a slotted spoon add to a Silpat mat lined a cookie sheet or lined with parchment paper cookie sheet. Brush with some beaten egg mixed with a tablespoon of water and sprinkle with coarse salt (I used pink salt). Bake until tops are nicely browned around 9 to 10 minutes depending on the thickness you rolled them out too. We love them brushed with herb and garlic or dipped in mustard and then the boys love these dipped in melted Mexican style cheese dip but again they are great plain! In keeping with the Italian theme of the blog, I bet these would be yummy dipped in marinara sauce. Surprisingly easy to make. This looks so delicious Claudia, Would love to give this snack a try. I got little confused when I saw the preparation time, but after reading the recipe, the confusion was cleared. Thanks for sharing this recipe. thanks for the heads up I fixed it! The generator was wacky! for the recipe card! Homemade pretzels are the best! I bet I wouldn't be able to stop eating these! Ooooh! 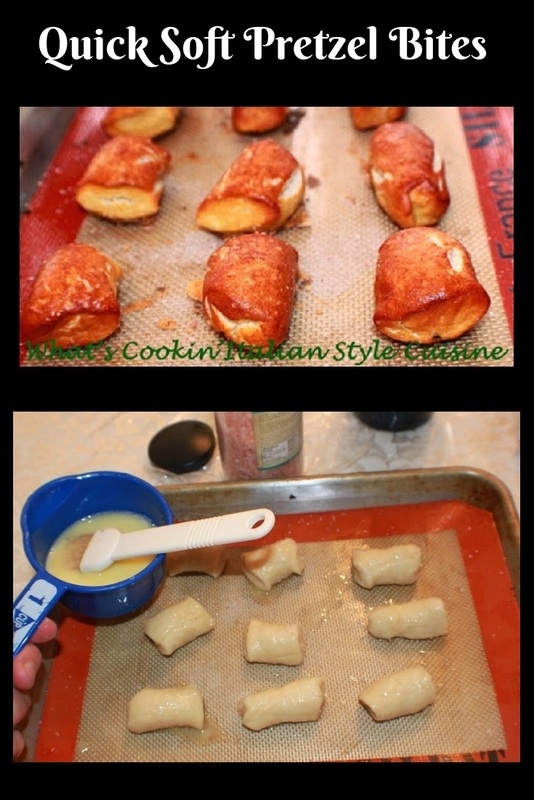 I am such a fan of garlic knots and these pretzel bites sound equally delicious! I pretty much can't stop eating these, haha! They're so good! These look like the perfect snack. Especially for game day or entertaining. I'd love to dip these in some yummy sauce. I made these and now my wife keeps asking me to make them again. Great recipe! Excellent snack. We all love to snack on weekends. These pretzels sounds and look delicious. Perfect to be honest. I must save this and make for my family. They will be delighted. I love how versatile these are. You can either make them as is or substitute a cinnamon and sugar topping. So many yummy ways to make these pretzels. I made these pretzel bites today and it turned out great! I followed the instructions exactly and was really happy with the results. My kid loved it and I will definitely be making these again. How yummy!! We make regular soft pretzels but never into bites. What a great snack and right now with the snow and cold outside I'd love to be baking. I've got all the ingredients to make the pretzel bites -- a great afternoon project. These look so buttery and good. My boys would love to dunk these in some cheese sauce! I can't wait to try them.